Coverking Car Covers Custom made in USA. Coverking's custom car covers are made to protect vehicles from hazardous conditions while ensuring a clean, durable, custom fit. Like a fine suit, your cover is made to fit the curves and features of your vehicle. One of Coverking's pattern designers spent time with your model vehicle and used 3D scanners to record every compound curve and detail. That data is then used to create a world-class cover with the fewest seams possible. Custom mirror and antenna pockets are sewn in to allow the cover to rest snuggly on your vehicle's exterior. Coverking is the number-one choice for automobile manufacturers, supplying Porsche, GM, Chrysler, Audi, VW, Nissan and many more. 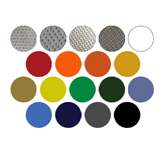 Available in the largest selection of engineered materials, colors and designs, our covers adhere to the most stringent auto-industry requirements with regard to fabrics, manufacturing techniques, finishing and packaging. Coverking has a vehicle cover for every application and lifestyle and offers the largest selection of custom vehicle covers, spanning cars from the early 1900s to the present. Our product line consists of items for the budget-minded consumer to the zealous enthusiast who insists on nothing but the best for his top-of-the-line, high-performance vehicle. Coverking Custom Car Covers are designed and cut on sophisticated CAD/CAM systems: an industry first, pioneered by Coverking more than 20 years ago. All outdoor Coverking Car Covers are sewn using double needles and overlapping seams, resulting in a durable, leak-resistant stitch that's coupled with a backup seam for extra protection. Our covers are sewn using heavy, wax-coated thread to help seal the fabric where sewing-machine needles have pierced a hole, reducing the chance of seam leakage. Coverking's indoor Satin Stretch fabric is sewn with a "blind" seam, ideal for indoor car-show applications. 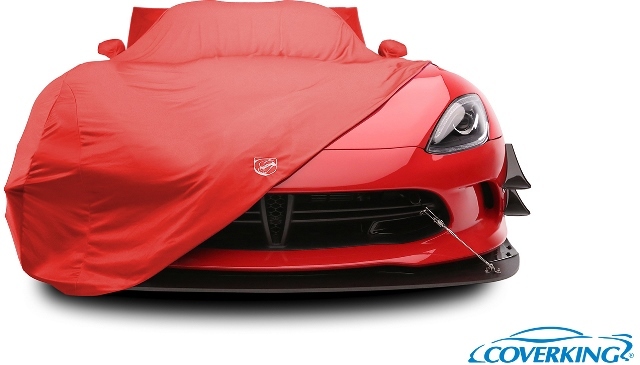 All Coverking Custom Car Covers are equipped with neoprene elastic tensioners, sewn into the front and rear sections of the cover, while protected grommets (for use with our optional Lock & Cable Kit), are sewn into the covers' sides so as to be hidden from view. Coverking Car Covers are available in Coverking Custom Fit and Universal Fit. Covers are designed to protect the vehicle from various hazards. 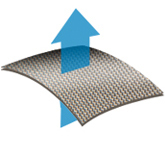 Some Coverking covers are designed to provide style while protecting from dust and other hazards. When a new vehicle is released to the public, we dispatch a team of pattern designers who take measurements all over the car. We then make a sample cover, go back to test fit it, make adjustments and repeat the process until we are satisfied we have a perfect fit. Coverking is unique in the level of CAD equipment used to ensure the best possible fit, as well as our pattern library. 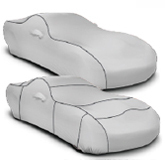 Coverking is one of the largest suppliers to OE (factory) car cover programs. Some of the leading luxury and sports car manufacturers and tuners turn to Coverking for their private label car covers. When a customer of ours orders, we manufacture the cover using the CAD pattern created from the aforementioned process. 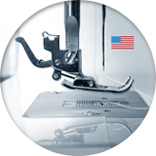 Virtually all Coverking Custom Car Covers are manufactured in our Anaheim, California factory. Universal covers are made in China. Coverking Custom Car Covers are made one at a time, after the customer places an order. They truly are a made to order, custom product. Some of our competitors sell "Semi-Cutom" car covers as if they were custom. These companies use a handful of designs to provide a close fit, unfortunately it is a far cry from a Coverking Custom Fit. Coverking offers a wide selection of fabrics, many of them specifically engineered to suit these unique requirements of an automotive car cover. Our different fabrics offer different levels of protection and performance - some focus on protecting from a specific element, like sun exposure or other weather conditions, while others keep your vehicle clean and free from dust or dirt. The qualities that make a Car Cover suitable for use depend largely on the fabric properties. Coverking designs it’s own fabrics, and has the world’s leading textile mills handle the manufacturing. Because Coverking has a team of engineers to specify exact material composition and construction, we are able to meet the most stringent material test requirements set out by the world’s leading vehicle manufacturers. Coverking does not use "off-the-shelf" fabrics, which are ill-suited to car cover needs. All Coverking outdoor Custom Car Cover materials are breathable – this allows moisture which is trapped under the car to escape through the cover, preventing a "greenhouse" condition of condensation which may result in rust damage. Coverking pioneered colored materials and two tone designs for outdoor use. Unlike other car covers, Coverking Custom Car Covers are designed to withstand the color fading effects of the sun. We have complied some information and comparisons of our fabrics to help you identify which fabric is best suited to you needs. This information shows how the fabrics will perform in certain conditions, however please keep in mind that our comparissons are based on the performance comparisons between these fabrics and with other fabrics currently used for vehicle covers.